If the attic insulation in your Kansas City, Missouri, home needs to be upgraded or replaced, turn to the professionals at 31-W Insulation for exceptional installation of fine insulation products and customer service that is second to none. We’ve helped customers all across the Southeastern US with their insulation needs since we opened our doors in 1972. We know that adequate attic insulation goes hand-in-hand with reduced energy consumption and potentially lower utility bills. 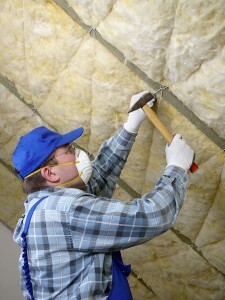 Additionally, you can count on our highly trained and experienced technicians to install your new insulation quickly, efficiently, and with an eye toward your complete satisfaction. In fact, we’ve earned an A+ rating from the Better Business Bureau, so you can be sure that we work hard every day providing superior products and outstanding customer service. To learn more about the attic insulation products and installation services we offer to homeowners in Kansas City, MO, and surrounding areas, contact 31-W Insulation today. We will be happy to answer your questions and provide you with a complimentary attic inspection.